FAQ: How can I do a biomass calibration with the SFR vario? Can I calibrate only for OD measurement? How can I do a biomass calibration with the SFR vario? Can I calibrate only for OD measurement? The SFR vario optical biomass measurements can be correlated with / calibrated for OD, CDW or cell concentration. Therefore, a model cultivation is carried out under the same conditions as the final cultivation. 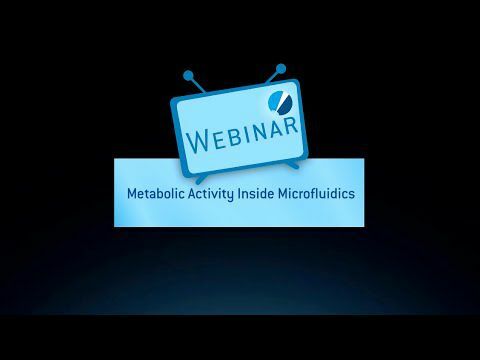 The biomass amplitude (software settings: BM = [x]) is recorded with the SFR vario and at the same time samples for offline measurement of OD, CDW or cell concentration are taken. In a calculation software (e. g. Microsoft® Excel) the biomass amplitude measurements can be plotted against the respective offline data. Then a fit is created, and the resulting formula and parameter values for the fit can be entered as calibration function in the SFR vario software. In the following graphs typical calibration functions for OD and CDW for different microorganisms are plotted. 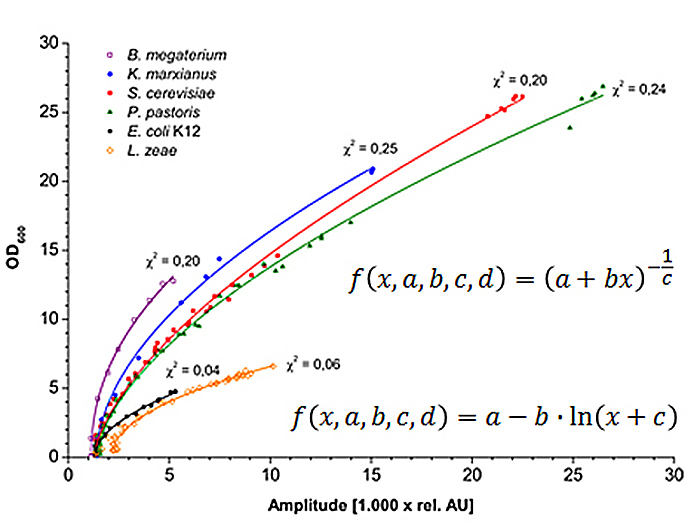 In this example B. megaterium, K. marxianus, S. cerevisiae and P. pastoris have the same calibration function f (x, a, b, c, d) = (a+bx)^-1/c for OD, which can be entered in the software as BM = pow ([a]+[b][x],-1/[c]). 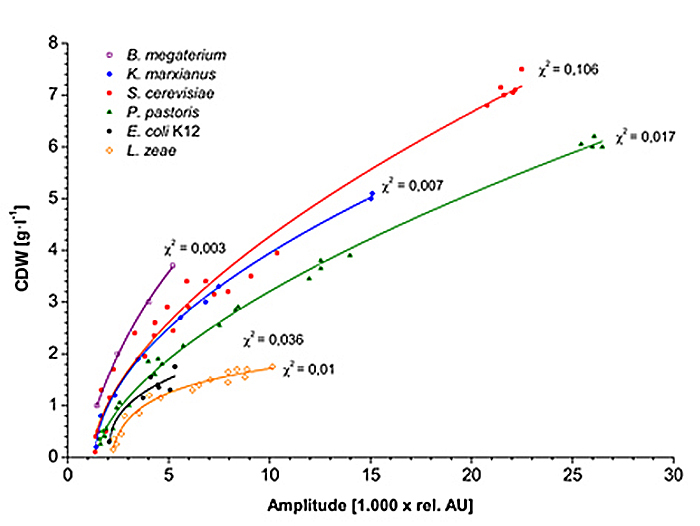 E. coli K12 and L. zeae on the other hand have the OD calibration function f (x,a,b,c,d) = a - b ln (x+c), which is entered in the software as BM = [a] - [b] log([x]+[c],2.71828). The calibration function will depend on your specific microorganism and respective cultivation parameters and can change significantly with varying strains and conditions, so it is mandatory to determine the calibration function prior to each cultivation run with a certain microorganism under specified conditions. If the same strain is cultivated under the exact same conditions again the calibration function can of course be re-used. 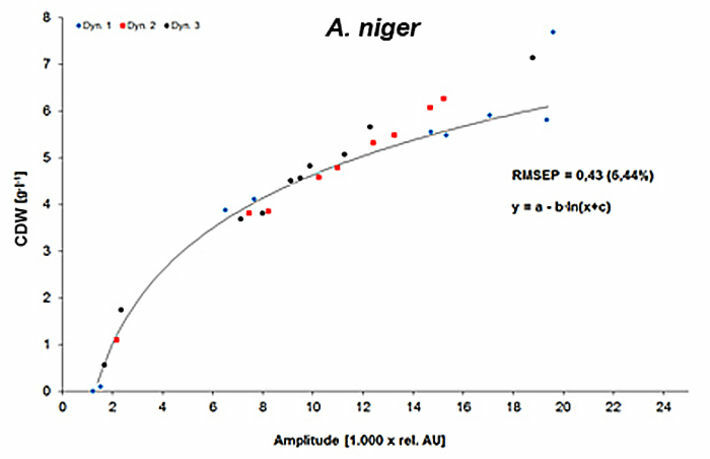 The following figure shows the rather different calibration function of an A. niger cultivation, which is caused by the microorganism's morphology. 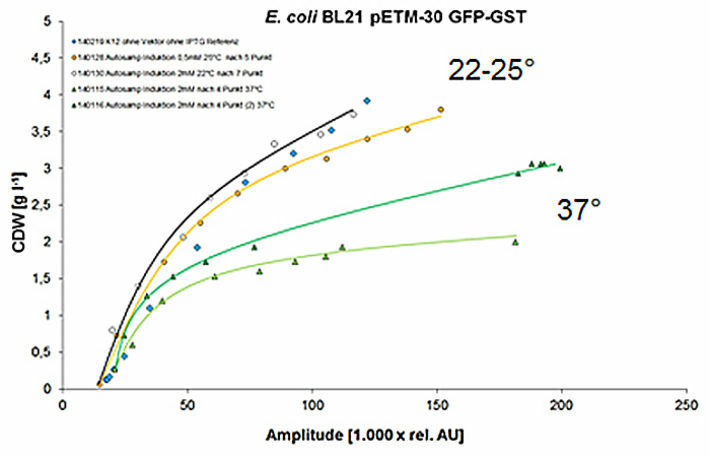 Also the example for E. coli cultivation at different temperature shows how cultivation conditions influence the calibration function.